I like graffiti art that is well done and placed on the right place. But unfortunately graffiti is often poorly done and mostly placed in the wrong place were it dose nothing but vandalise. 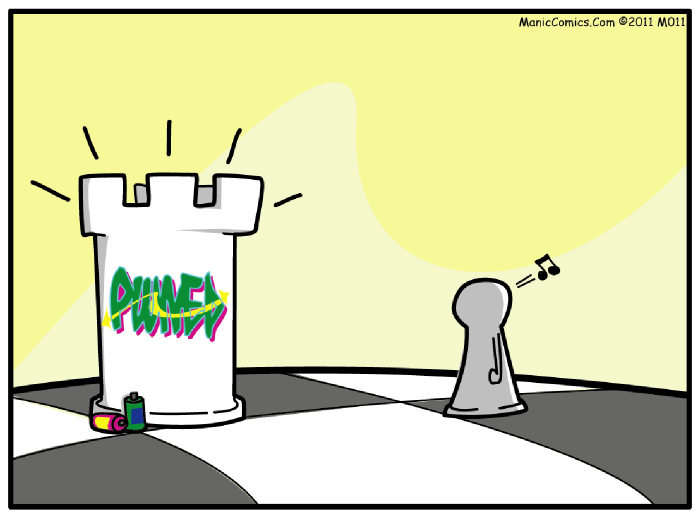 luckily these pawns only use water based environmentally friendly paint.